Woot offers the Rock Garden Mixed Flower Collection (55-Bulbs) on clearance for $13.99. Amazon Prime members get free shipping, otherwise shipping adds $5. 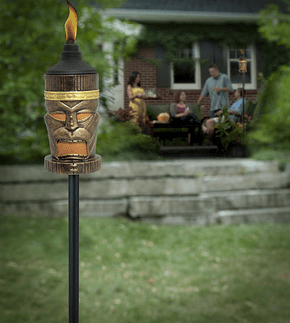 Get ready for those outdoor gatherings with this set of two TIKI 4-in-1 Torches. They are perfect for your yard, garden or can be used on your tabletop. They are just $24 with free shipping from Deal Genius (reg. $60). 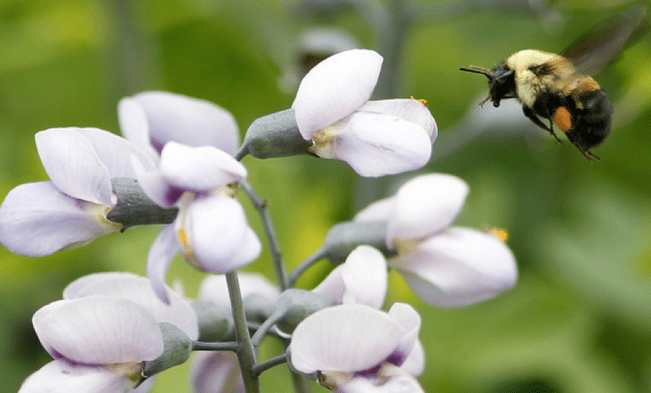 Head over here to request a free packet of wildflower seeds from Cheerios. For store pickup, Walmart offers the Pomegranate Bonsai Tree for just $23.50 (reg. $39.60). 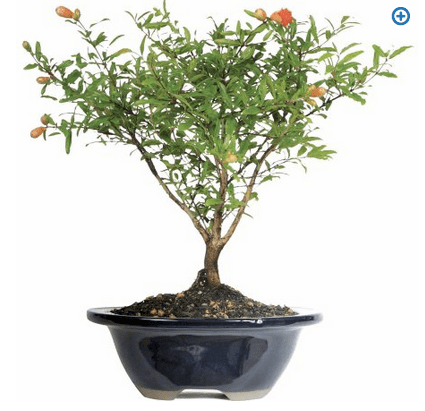 The Pomegranate Bonsai Tree adds a classic touch of beauty to your outdoor patio or garden space. Savor and appreciate the plant’s refined orange flowers as buds and blooms develop from spring through summer. The live bonsai tree begins bearing fruit around August, with fully ripened pomegranates ready for harvest through October. This plant thrives outdoors in temperatures above 20 F with protection. The tree needs to experience seasonal changes in order to flourish. Only bring plants indoors for short periods of time between three and five days. A proper care brochure comes with every tree detailing winter protection needs. This distinctive and attractive hard-to-find variety blooms from June through August. The dwarf pomegranate tree brings a magnificent sense of beauty to your outdoor spaces, from backyard gardens and patios to front porches and more. 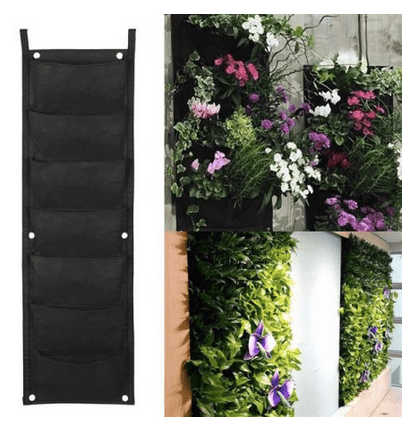 Walmart has the Topeakmart 7-Pocket Vertical Planter for just $8.99. Shipping is free. 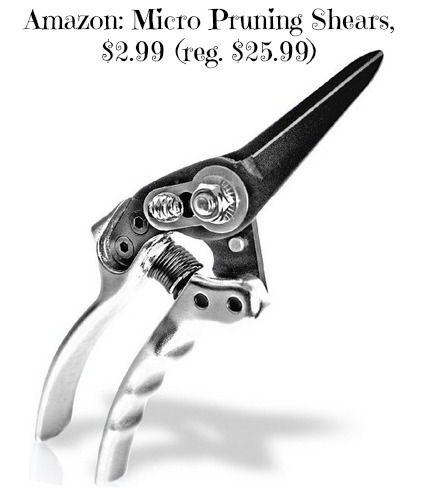 Right now on Amazon, you can get a pair of Micro Pruning Shears for just $2.99 with code MSPRUNER. Shipping is free on orders of $49 or more on Amazon, or get free shipping with Amazon Prime (get your free trial). Amazon prices can change at any time. 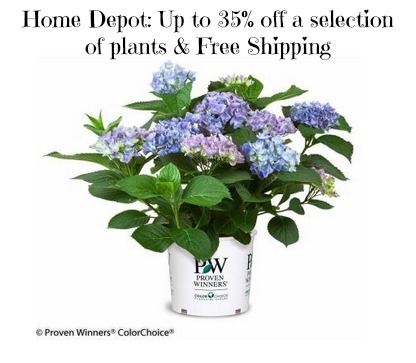 Today only, Home Depot is offering a selection of plants up to 35% off. Choose the free shipping option or free store pickup to get it faster. Disclosure: This post is sponsored by EcoScraps. However, all content presented in this post represents my own opinions. Recently, there has been a huge movement towards organic food. Many of us have taken up organic gardening as a result. Have you thought about the dirt you are using though? Is it organic? If it’s not, you should definitely check out EcoScraps, which is available at Walmart stores. Did you know, that in the United States, we waste 40% of the food produced. That is enough to fill the Rose Bowl every day. It sits in landfills producing methane, which is 20X more harmful than CO2? Since 2010, EcoScraps has been working to be a part of the solution by reusing this waste and keeping it out of the landfills. They want to make sustainability mainstream, which I think is very admirable. Between 2011 and 2015, EcoScraps recycled 75 million lbs of food waste. They are matching that number in 2016 with projected recycling of another 75 million lbs of food waste–this time in just 12 months. To put that into perspective for you, recycling 15 million lbs of food waste is equivalent to keeping 500,000 cars off the road for an entire day! It makes a huge difference. 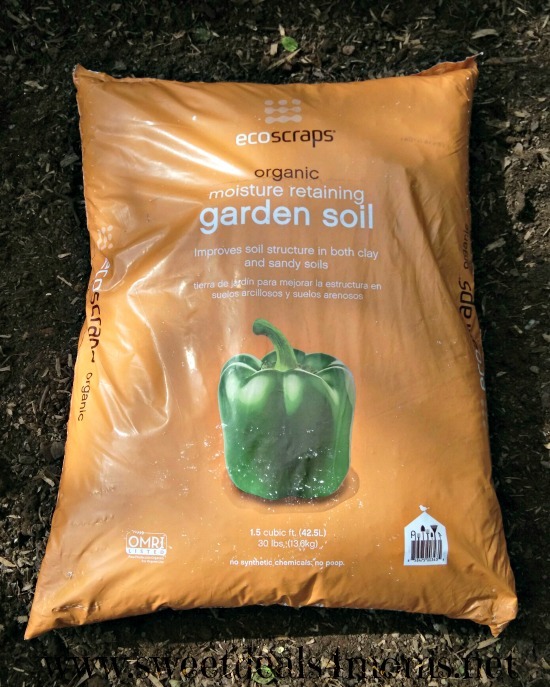 I was excited to try out a couple of EcoScraps products recently. 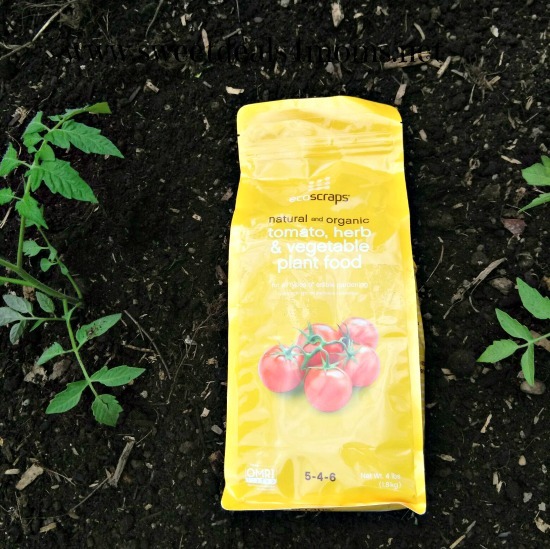 I really wanted to try the Natural and Organic Moist Garden Soil and the Natural and Organic Tomato, Herb & Vegetable Plant Food. I used the Garden Soil in my raised bed. I mixed it in with the existing dirt. 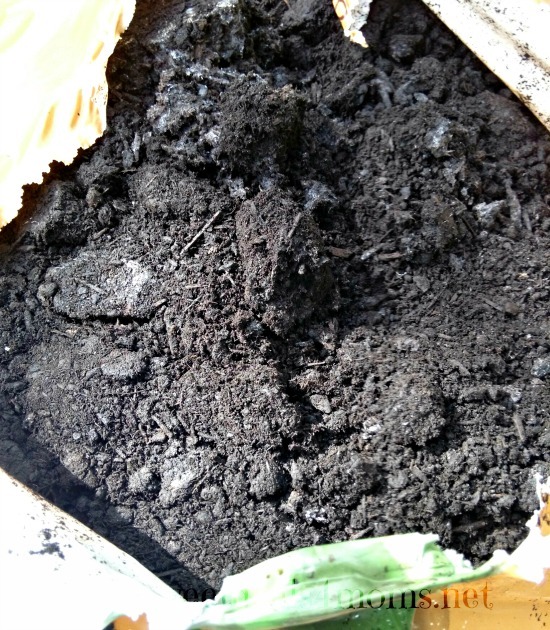 I was a bit surprised at the size of this bag of dirt. It weighed 30 lbs. I could tell when I opened the bag that this dirt is very rich. It’s derived from a unique blend of fruits, vegetables and other organic materials. I also really like that it’s moisture retaining. That will help save on water of the next few months. I ended up planting tomatoes in this particular raised bed which is perfect for the Organic Tomato, Herb & Vegetable Plant Food I have to use. 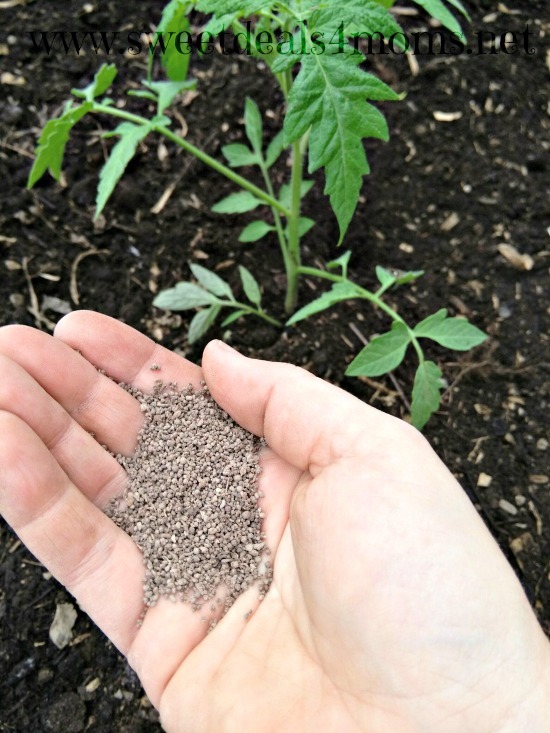 This plant food provides the nutrients you need to grow all fruits and vegetables so I can use it all over the garden, it’s not just limited to tomatoes. It features added calcium to prevent rot, which I am excited about because I have had problems with end rot in my raised beds. It comes in little pellets which are very easy to distribute. The bag itself has a zip up feature, to keep it fresh and dry in between uses. Buy it: EcoScraps products currently sold at Walmart are: Compost, Garden Soil, Potting Mix, Herb and Vegetable Plant Food, All Purpose Plant Food, Compost Accelerator, Citrus and Avocado Plant Food, Starter Plant Food, Rose and Flower Plant Food, Fresh Start Plant Food, Fruit and Vegetable Plant Food, Compost Accelerator. Buy it here. 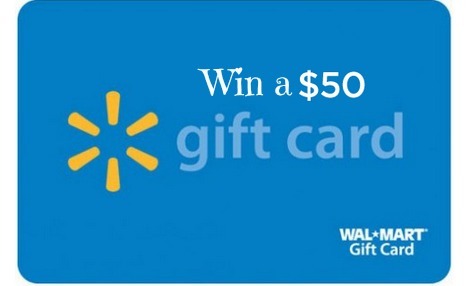 Win it: One of you will win a $50 Walmart giftcard, so that you can start your own organic garden with EcoScraps. Please enter through the Rafflecopter below. It may take 30 seconds or more to load.